In the event that you hold up until the last moment to have your aircon repaired or waiting until something turns out badly, you could commit an extremely costly error in Singapore. Like any car, the practical approach to get the most out of your aircon system is to do regular cleaning and periodic maintenance. 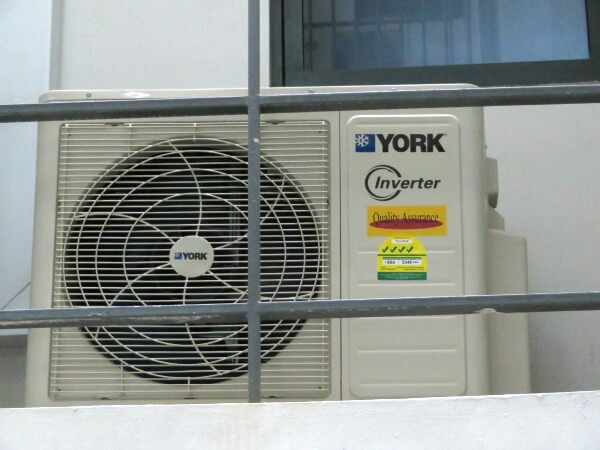 York quality air-con service is performed by qualified professional, HVAC technical experts in Singapore. With our experience, abilities and tools, we tackle HVAC issues right through the first run which non-trained person cannot do. The majority of our repair service are to ensure 100% at your ease of mind. Yearly contract for aircon system service and maintenance: You can pick monthly, bimonthly or quarterly (four times each year) servicing and maintenance package depends on your need. Aircon chemical cleaning: Work scope covers cleaning of entire aircon unit with chemical treatment and flushing out dirt debris in drain pipes. We provide one of the best chemical treatment in entire Singapore. Aircon system troubleshooting and repair: At the point when your aircon system is not working properly, the York troubleshooting guide also not helping. Our York aircon service technician will check your aircon unit to advise the hardware condition and seek you approval for repair. Overhaul service for York air conditioning system: We replace faulty parts, clean the entire unit and test the system before reinstall back to the owner premises. Aircon chemical wash includes a full cleaning of your York air conditioner and give you a complete refreshing feeling in the room. This service is vital after a general air-con cleaning does not enhance the surrounding condition. Aircon maintenance includes running checklist through your York air-con system to minimize unwanted disruption. Parts are inspected from the fancoil, compressor, condenser and other key components of the air conditioner. It also includes checking the thermostat and remote controls of the air- con unit. Function test and system run are done before the aircon returns to its normal use. The most critical motivation in Singapore offices is to keep your aircon unit running proper. You will have a genuine feelings of peace. Minds are more efficient in a cool environment. Productivity will increase. Numerous health problems that are connected with poor air quality can be greatly decreased. Cost are reduced in aircon repair or replacement. It is crucial for your well-being and those of your employees or colleagues. Our York aircon service technicians have been trained and well versed in York aircon heating and cooling or inverter system. You may call us at our hotline or fill up our enquiry form for quotation. There is no obligation. Contact us now!